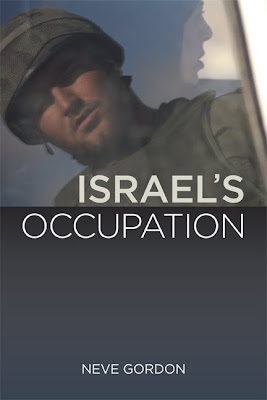 (Notes on) Politics, Theory & Photography: Will Israel Tolerate or Suppress Political Dissent? Will Israel Tolerate or Suppress Political Dissent? "In a sense, the need for a boycott is a sign of weakness following the polarisation and marginalisation of the left in Israel. We are witnessing the development of a proto-fascist mindset. I am, for example, extremely anxious about the extent that the space for public debate in Israel is shrinking. I posted about Gordon here almost a year ago. Gordon is a Political Scientist at Ben-Gurion University. He is once again being threatened by the Israeli regime - this time as one among many Israeli citizens who either actively advocate or quietly sympathize with calls for a boycott of the country due to its ongoing repression of Palestinians. According to this story in The Guardian, the government has introduced legislation aimed at silencing those citizens (as well as non-Israeli's who support the boycott). I have not yet changed my mind on the usefulness of the proposed boycott; I do not think it is the right approach for reasons I have stated here numerous times. But, once again, I think it is crucially important to speak out in defense of those, like Gordon and others, who are under attack by the Israeli government for their dissenting activities. Gordon wrote this Op-Ed for The Guardian and in 2008 published Israel's Occupation (University of California Press) - you can find the supporting web page here. All of that said, the political situation in Israel and Palestine is dire and, as The Guardian report makes clear, arguably degenerating. I recommend these reflections on recent events (including the despicable Israeli attack, in late May, on the 'Gaza Freedom Flotilla' which has provided new impetus for calls for a boycott) in the NYRB by David Shulman. While the Israeli government has agreed to relax their blockade of Gaza, that is a very small step and it hardly is the only point of ongoing, serious contention. It is only the most noticeable one - the insidious, very, very regular attacks by "settlers" on Palestinians in the West Bank are equally despicable, just less visible.